This was so much more difficult than I thought it would be! So many fabulous posts were nominated. I love the DOC, and this process reminds me again why. We are so much stronger together than we are alone. No matter what kind of day I'm having, I can open Google Reader and find posts from my friends that inspire me to keep going. Thank you all for that. 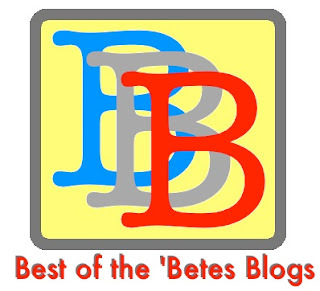 So without further ado, I present the Best of the 'Betes Blogs for April 2012! Best Vlog: I heart the You Can Do This project. It reminds us that we are not alone, and that there is power in numbers. Best Recipe: Mmmm, pasta. I'll be over for dinner tomorrow, ok? Best Use of Photography: These pics will make you do a double take. So neat! 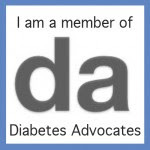 Best Advocacy: A post from a parent of children with diabetes that appeared on the blog of a person with diabetes. Cause he's awesome like that. Best Reference to a D-Celebrity: Highly jealous of the attention this blogger was given by a certain fabulously attractive D-celeb. Best Story of a D-Meetup: Any opportunity to meet friends from the DOC in real life is magical! I've felt this way myself, many times. Warm fuzzies. Best non-D Related Post: One of the most powerful posts I've read in a long time. Loneliness is something we can all relate to. Best Post by a Type 1: Getting blood drawn is pretty routine for people with diabetes. Except when it's not. Best Post by a Type 2: Not judging yourself based on the number on the meter is hard, no matter what type of diabetes you have. Best Post by LADA/ Type 1.5/ Not otherwise specified: An incredible post from one of the most inspirational people I know, reminding us that defeat is optional. Best Story of a D Mistake: You know when it seems like the world is out to get you, at least when it comes to diabetes? Best Motivational Post: I often feel like a failure. But this inspirational post tells us what failing DOESN'T look like. Best Diabetes Art: I wish my pancreas had a brain and could do all this for me. But then it wouldn't be broken! Thanks to everyone who sent in nominations, and congratulations to all the nominees! KD- And It's Not Kraft Dinner! Want the Best 'Betes Blogs button on your page? Grab away! And that's a wrap for April! Remember you can send nominations all month long! Email bestbetesblogs@gmail.com, or direct message @bestbetesblogs on Twitter. Thank you so much! I'm honored. Thanks too for doing all this reading. I can't wait to read all the other posts. What Kate said!! I was so suprised and appreciate it soo much!! I think I may need to take a break now and get reading all the great posts!! What a great list! I love this post each month because I get to add more blogs to my google reader. New authors each month that I've never read before! Thanks so much for the double mention! ;) I'm honored! Thanks so much! I'm honored to be on this list with so many awesome bloggers! I didn't even notice (Until today) that I was featured here! Thank you so much! I am honoured!